You'll be £4.99 closer to your next £10.00 credit when you purchase An Alternative History of Britain: The War of the Roses. What's this? 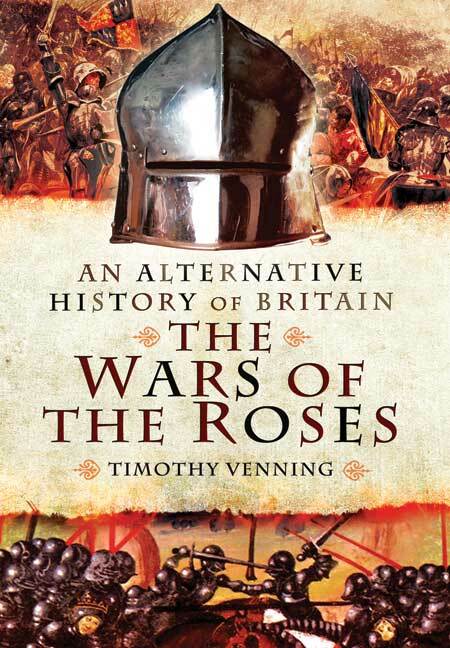 Timothy Venning's exploration of the alternative paths that British history might easily have taken moves on to the Wars of the Roses. What if Richard of York had not given battle in vain? How would a victory for Warwick the Kingmaker at the Battle of Barnet have changed the course of the struggle for power? What if the Princes had escaped from the tower or the Stanleys had not betrayed their king at Bosworth? These are just a few of the fascinating questions posed by this book. As always, while necessarily speculative, Dr Venning discusses all the scenarios within the benefit of a deep understanding of the major driving forces, tensions and trends that shaped British history. In so doing, he helps the reader to understand why things panned out as they did, as well as what might have been in this tumultuous period. Venning provides, particularly for those unfamiliar with the period, a well-researched overview of both the politics and the battles. Tudor propaganda and that he would have been a beneficial King, bringing success and prosperity to his people. Those who favour the Tudor pretender will firmly believe that Henry VII was a great king who liberated his people from a lengthy civil war and disposed of a blood-soaked tyrant. The truth may lay somewhere between and the following peace might have been very similar who ever had won the final battle. A fascinating review of the Wars of the Roses that is informative, enjoyable and entertaining.